Intro: This blog post is going to recommend to switch away from typical blog hosting providers like Bluehost to a relatively new cloud hosting platform called Cloudways. I recently did this and the experience was extremely good. Migrating each website took less than half an hour of my time (copying of files happened automated in the background!) – and the new service offered 3 days of free hosting – so I could find out whether everything went smoothly absolutely for free! 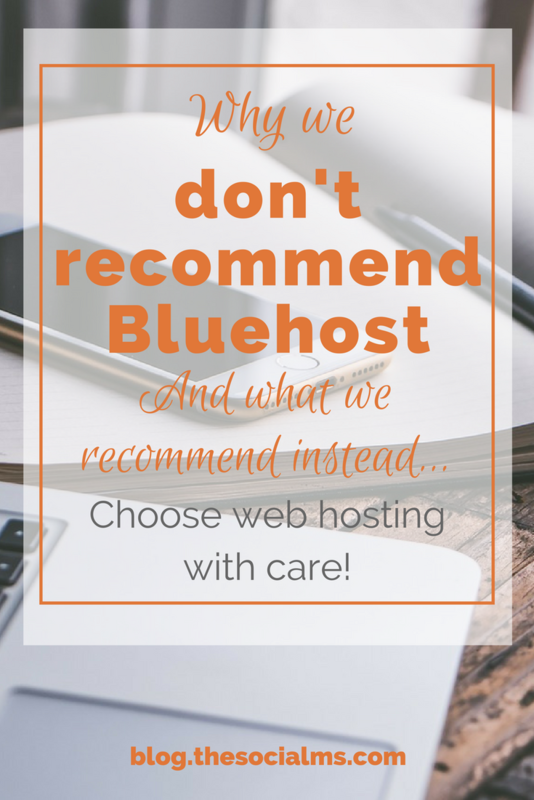 Until recently we hosted all our sites on Bluehost – and Bluehost provided an atrocious customer experience for us. This was costing us money – and we had to react fast. You know you have to go at it at some point, but you don’t know how much it will hurt you. And you also know that things will probably get worse every day you don’t go. At least, that is what I thought – until I was surprised by one of the best switching-a-service experiences of my life. The host I will recommend to you is Cloudways. But more on that later! Bluehost and equivalent services like Hostgator, Dreamhost, … are probably the most used services for people who start their first blog. The reason is price – $5 per month is still a very compelling offer. And it’s what so many people use, so you can’t go wrong, right? If you are happy with the Bluehost service then by all means, stay there. But if you are not – and many, if not most, aren’t, then you should switch. And better hosting doesn’t need to cost more! Increasing amounts of downtime – all our sites would go down randomly for anything between a couple of minutes to a few hours. It simply was not a reliable hosting service for us. Sites were slowing down to the point of becoming unusable – for no visible reasons. Slow and unhelpful support. Bluehost support may not be the worst in the business – but it’s close. Are you experiencing the same thing? Then you should think about switching. Further down, I’m going to tell you exactly how to perform the switch to hosting provider Cloudways step by step. But first, I want to give you an overview of the Cloudways service, what hosting plans they offer, what it costs and what features it offers compared to Bluehost and why I chose them. Cloudways is a cloud host. That means that “your server” will only be a virtual machine in a larger cloud infrastructure. Instead of an actual, physical machine, what you will get is defined by CPU cores, RAM, and bandwidth for your virtual machine. Cloudways doesn’t have its own cloud infrastructure. Instead, it’s service runs on other cloud infrastructure providers. Cloudways offers Cloud servers on Digital Ocean, Amazon Web Services, Vultr, KYUP (container based hosting), and Google Compute Engine. No need: Cloudways offers you an easy to understand and use the environment to run your server on cloud infrastructure – when you sign up you decide where your server is located and which cloud service it runs on. It should be mentioned that while this may be a “virtual server” it is still a lot more of a “dedicated” environment than what you get with Bluehost – your RAM and CPU are not shared with others! For a simple WordPress install, you should select to run your Cloud server on Digital Ocean (or maybe Vultr – but I never tried that…). Pricing for Digital Ocean starts at $7/month – so roughly equivalent to Bluehost and also Bluehost Cloud Hosting. And you don’t need to pay a year in advance to get this price! Now, how far does that package get you? Quite far… this package should be enough for WordPress sites with up 50,000 visitors per month – depending on your WordPress setup. Now, you may think that Bluehost is offering “unlimited” plans, right? Well, unlimited isn’t so unlimited after all: If you are running a blog with 35k visits on Bluehost with a basic hosting plan – you are probably already in trouble – slowdowns and downtime have to be expected. And upgrading a Bluehost account is not so simple and more expensive. Here comes the real beauty of cloud hosting: Up and downgrading servers by demand. Should your current package on Cloudways be not sufficient for your needs anymore – you can upgrade to the next package with the click of a button: Within a few moments, more resources will be allocated to your server. Or, if your post goes viral and you need additional resources for a couple of days – that’s possible too. Simply clone your server to a lower tier (this can be done even simpler through the container hosting solution KYUP that Cloudways also offers, or if you decided to put your instance on AWS or GCE – all options you have through Cloudways). Awesome, right? But here is the biggest difference between Cloudways and Bluehost – at least for me: Support! I’ve been in touch with Cloudways support via the onscreen chat box twice already. I simply opened the onscreen chat box and typed my question. Replies were instant. Repeat – instant. No waiting times. And they were also competent. Bluehost often takes hours to respond – and then is very unhelpful most of the time – to the point of flat out lying. So, what does Bluehost offer that Cloudways doesn’t? 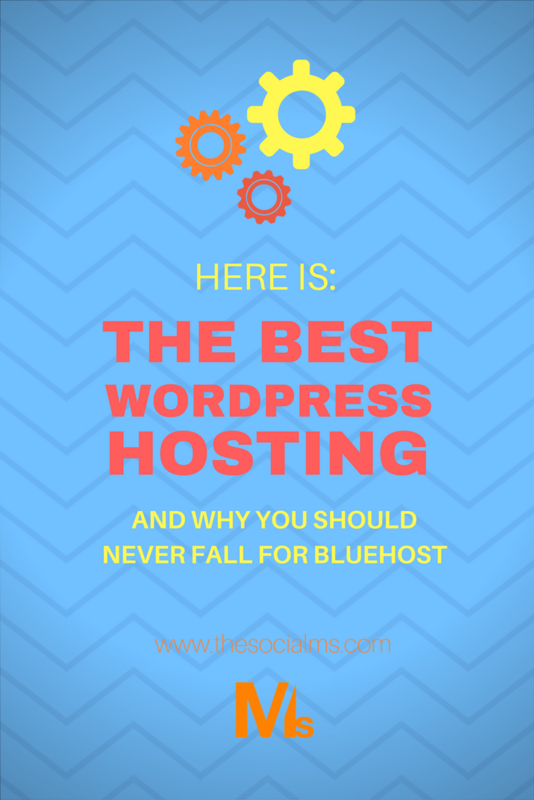 Two things worth mentioning here: Bluehost offers you to set up a domain for you. Cloudways, on the other hand, doesn’t. 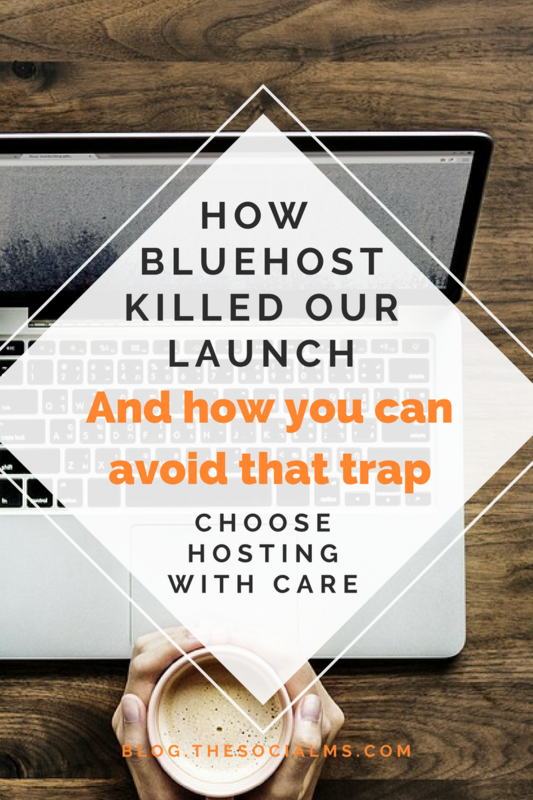 But that is not that much of a problem – if you are switching services right now, you can leave your domain on Bluehost for now and just change the CNAME record. Or you can migrate your domain to something like GoDaddy and create a CNAME record there. We don’t use the email services provided by Cloudways – but if you need that, you can use Rackspace webmail on Cloudways. It costs $1/mail/month via Cloudways, while getting an email directly from Rackspace costs $2/mail/month. Other than that – there is not much worth mentioning. Cloudways Flawless User Experience – And You Can Try It For Free! One reason I went with Cloudways was simply the 14 day trial on Digital Ocean servers. I simply thought – if this goes wrong I lost no money. Bluehost and its competitors are based on CPanel for server management. CPanel might have been revolutionary when it was invented – but today it feels clumsy and dated. Cloudways offers a lot more simple approach to server management – need a new WordPress server? 5 clicks, 3 minutes wait, and it’s there. The administration interface for servers is simply brilliant – everything is explained well and accessible with a few clicks. 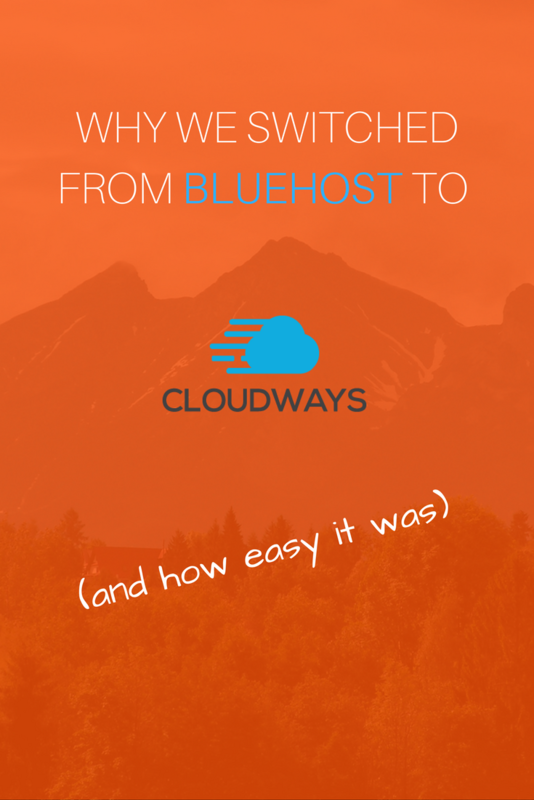 But here is the biggest surprise – migrating from Bluehost was a breeze and we were up and running on Cloudways in no time! I only followed the below steps and had my server migrated with NO DOWNTIME! Now, it’s time to give you a walkthrough through the server migration! 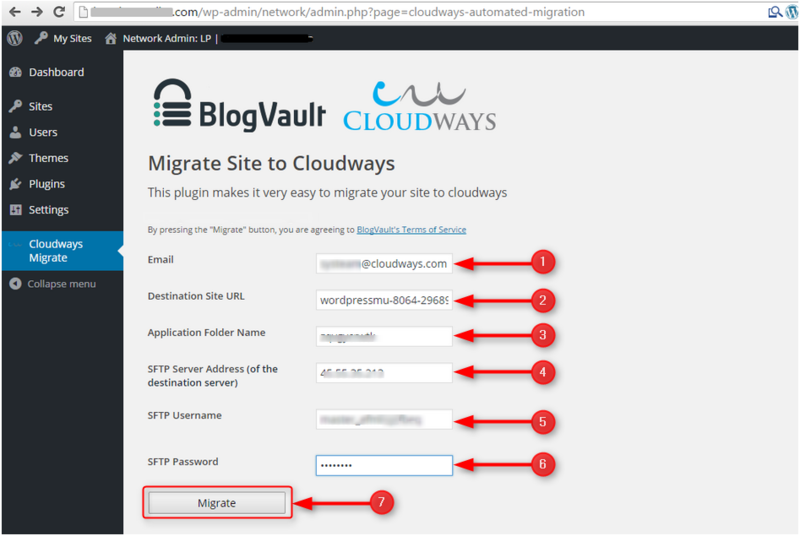 How To Migrate From Bluehost To Cloudways With No Pain Or Downtime! First, you need to sign up for Cloudways and create your first server in the cloud environment. Click Here to get to Cloudways. Click Sign Up anywhere on the Cloudways landing page! Wait for 6 minutes while Cloudways creates your server. That’s it; your server has just launched with a complete WordPress installation. Cloudways automatically installs a server setup (including various layers of caching!) that runs very fast. The magic happens because Cloudways provides a brilliant WordPress plugin, which will perform the migration for you. How cool is that? In the browser tab where you just registered for Cloudways, the page that is open now has a navigation bar at the top left. It has the following tabs: “Servers” and “Applications”. Both provide info that you will need in a minute. Open a new Browser Tab – keep the Cloudways Tab open. Go to the admin panel of your OLD WordPress installation on Bluehost (or wherever…). Select Plugins -> Add New. 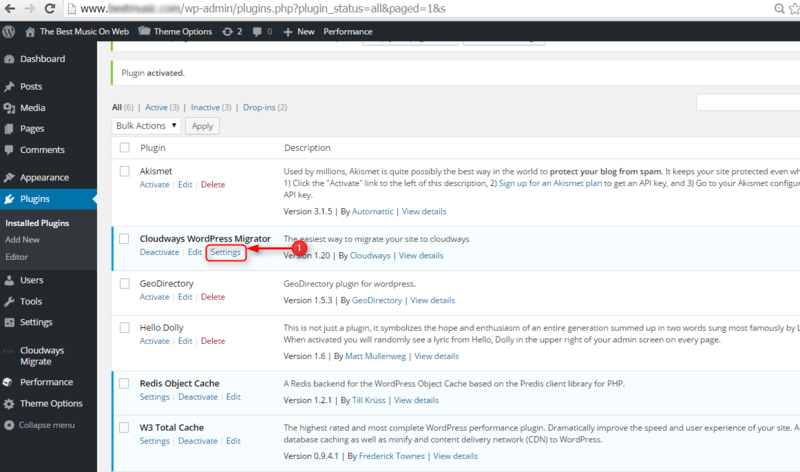 Search for the plugin “Cloudways WordPress Migrator”, install and activate it. Then go to the plugin. Here you will find the plugin’s settings. Now, open the plugin on your OLD WordPress installation. Enter all the required info – you will find it in your browser tab with the Cloudways’ server management open. IP and password are under Server -> [Your Server] -> Master Credentials, while Folder is under Application Management -> Application Settings. Click on Migrate. Let the magic happen. This can now take anywhere between 30 minutes to a couple of hours, depending on how big your WordPress site is. But your page is still available during this time. Enter all the required information and click on migrate… that’s it! Once the process is finished, you will find the current URL of your migrated copy of your blog under Application. To get destination site URL: Navigate to Access Detail tab of your WordPress application. Final Step: Enter/Update Cname Record at your domain registrar pointing to your new WordPress site. If your domain is still on your Bluehost installation – you should be able to leave it there for now – or you can migrate it to another registrar. If you want to leave it on Bluehost, here is how to update DNS records on Bluehost. That’s it – you’ve migrated your blog. There are a lot of things you can do to optimize your new hosting – implement CloudFlare, etc… But I am very confident that you will be a lot happier on Cloudways than you ever were on Bluehost or the others. So, will you follow our lead and switch to Cloudways? If you decide to switch to Cloudways – don’t forget to use the Promo code THESOCIALMS on signup to get $15 in hosting credits! If you found this article helpful: Please pin it!